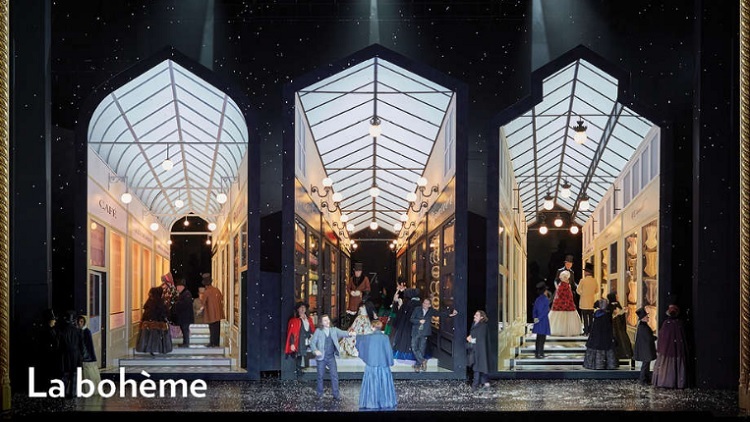 La bohème, Puccini’s story of love, loss and the artistic world of 19th-century Paris comes to vibrant life in this stunning production at Lyric Opera of Chicago. A huge hit when it premiered it in 1896, the opera’s popularity and power hasn’t dimmed since. Featuring strikingly designed sets and costumes, not to mention an exciting cast of singers, including Maria Agresta, Michael Fabiano, Danielle de Niese, Zachary Nelson and more, La bohème finds the poor poet Rodolfo and the painter Marcello drawn into a tangle of love and jealousy after the frail Mimi knocks on their door. These youthful dreamers navigate the complicated maze of romance amid the colorful Bohemian enclaves of the city and its snowy streets, until they realize they can no longer hide from the world’s harsh realities.